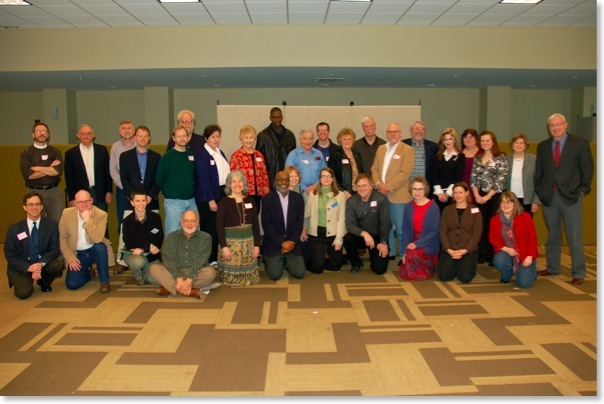 PEC is participating in Bruce Reyes-Chow's "We are PCUSA" video project. Videos will stream all day on June 22. Vice Moderator Diane Waddell has submitted a video on our behalf. Check it out! Shades of Green Energy discussed how the faith community is addressing issues associated with green energy and the environment. 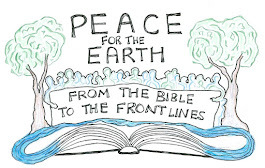 It is great to see Presbyterians taking a lead in their communities to care for God's Earth. Tune in to this radio show to hear Lou Snead of Faith Presbyterian Church in Austin and Colin Rowan of First Presbyterian Church in Austin discusss several Earth Care initiatives they are undertaking in the Austin area. Colin organized a showing of the movie “A Carbon Nation” at his church and Lou Snead is part of the Interfaith Environmental Network in Austin. (See a photo of the Interfaith Environmental Network's leadership here.) Austin is in Presbyterians for Earth Care's Southwest region. The coordinator for that region is Bee Moorehead, the Executive Director of Texas Impact and Texas Interfaith Power and Light. I hope your summers are off to a great start! Just a friendly reminder that there's still time to register for our 2011 Faith and Environment Conference August 31-September 3 at Highlands Conference Center in Colorado. Registration costs $150.00. You can find more information about the conference here. We are in the process of putting the next PEC Update together. I invite you to take a sneak preview of our next update. Earth Covenant Ministry founder Rev. Allen Jenkins submitted a book review of The Seven Pillars of Creation: The Bible, Science, and the Ecology of Wonder. Author Bill Brown will be a plenary moderator and worship leader at the conference. 390 ppm of CO2, oceans’ Ph levels, Darwinian evolution, toxicity rates of the world’s aquifers, soil depletion, biological diversity, EPA air quality standards...Those of us called to eco-justice ministry know that such scientific concerns are essential to comprehending the signs of the times. They inform our response to the urgent calling of eco-justice ministry. Awareness of such issues as ecological tipping points and thresholds of the land’s carrying capacity provide foundation for our living and spreading the Good News for all God’s created order. Given the sciences’ importance for informed eco-justice ministry, how, then, do we faithfully straddle these two worlds of science and Bible, worlds so perilously at odds in the modern era? 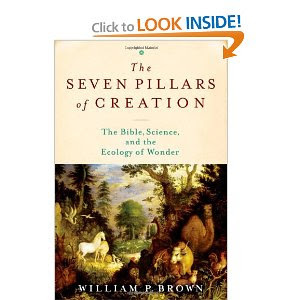 In The Seven Pillars of Creation: The Bible, Science, and the Ecology of Wonder, biblical theologian William P. Brown takes on this monumental question in a disarming, invitational form that provides an empowering foundation for a serious integration of science into the life of faith. To say Brown qualifies for the task understates his credentials. He is an ordained minister and Old Testament professor of Columbia Theological Seminary in Decatur, Georgia who is not only a ‘scholar’s scholar’ sought out to present at institutions across the country and the globe but his is also a leader in the greening of campus life and an accessible Sunday School teacher. On a further note of personal privilege, I am most thankful for his active leadership on Earth Covenant Ministry’s steering committee, for whom he graciously presents to congregations of the Presbytery of Greater Atlanta. Fortuitously, Bill Brown is this year’s plenary moderator and worship leader for our PEC conference (August 31st – September 3rd). Are you registered?